Our wall and ceiling panels are made from precision extruded PVC, and decorated with unique designs ranging from white, marble, onyx and granite patterns. 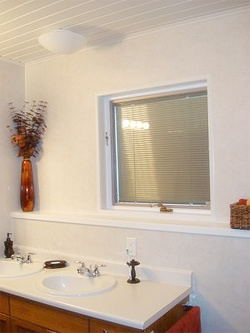 They provide an efficient and stylish finish for walls and ceiling. The high quality Wall and Ceiling Panels are easy to install. Their water resistant quality make them a durable cladding for walls and ceilings, particularly in damp areas. The PVC Wall and Ceiling panels will neither delaminate, rot nor absorb water and are resistant to color change or fading. Can be applied directly over existing wall, including tiles!